Incorrect placement of the arm while training, can cause many times serious injuries. 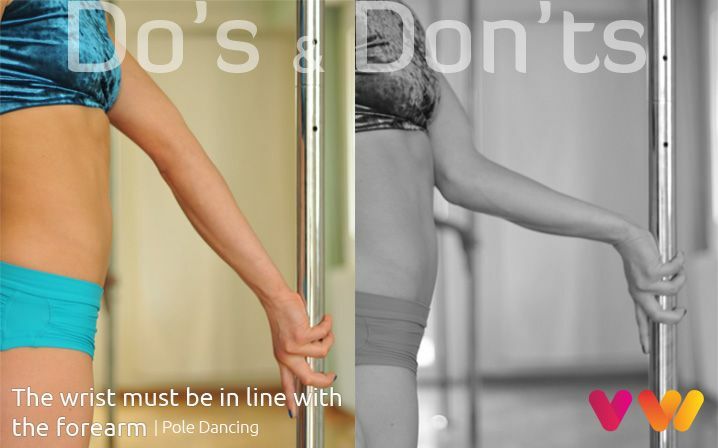 Specifically, in Pole Dancing, the wrist is one of the most injury-prone parts of the body. This is why, we should be very careful with the alignment of the arm, as well as the amount of grip strength applied on the pole. The wrist consists of eight small carpal bones (scaphoid, lunate, triquetral, pisiform, trapezium, trapezoid, capitate and hamate), the two ends of the forearm (radius and ulna) and the metacarpal bones. There are also three main nerves, starting from the neck running past the elbow and wrist to the hand (radial, median, ulnar). In moves like handspring, butterfly, flag, etc. it is best to keep a straight line from the elbow to the wrist. We prevent prolonged hyperextension of the wrist, which might even lead to a carpal tunnel syndrome. Therefore, try all times to keep the wrist (medial wrist position) in straight alignment with the elbow, so that grip pressure is evenly distributed to the whole of the arm and not to a single angle. Last but not least, make sure your training routine includes a serious of muscle strengthening and stretching exercises for the wrist. Recommendation: A wrist band can help you stabilize your wrist. 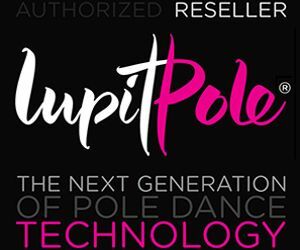 Try those by sneakydeez for pole dance or any other wrist hurting activity.